This gorgeous shade is a vibrant glittery blue that has purple particles in there as well. It is a Dillard's exclusive, and you can get it by visiting their stores or their website. Stunning, if I had to describe it in one word. Scouse is the perfect blend of electrifying blue and sparkly violet. I think I could have gotten away with two coats, but as I added the third, there was definitely more color and glitter payoff, so I suggest three. 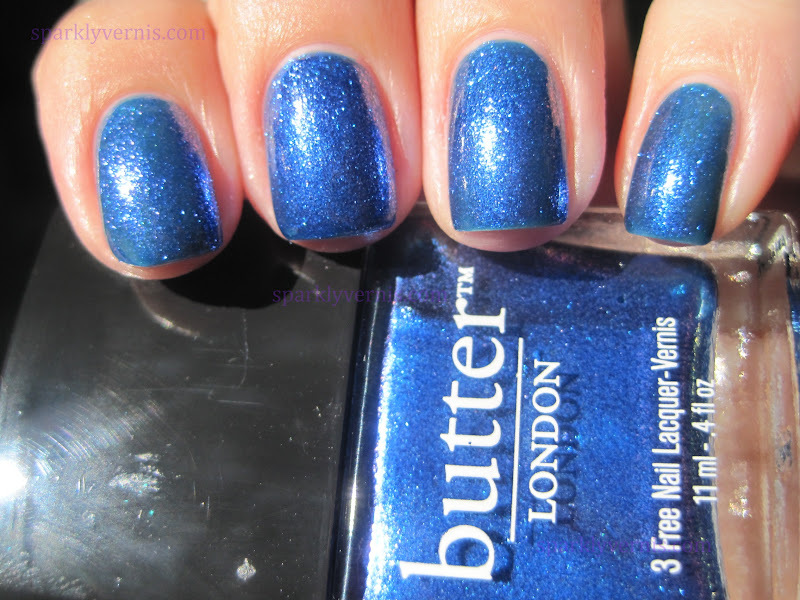 Like all Butter London nail lacquers, this applies like a dream and dries super fast. beautiful! was looking forward to seeing this. 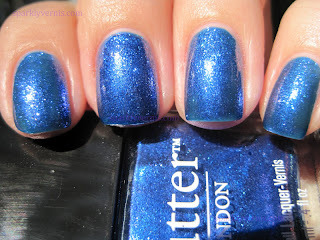 Thank you for posting swatches of this! 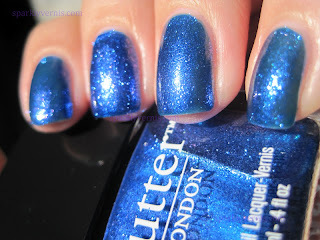 I saw this lacquer on the BL website last week and haven't seen any swatches until yours. Now I know for sure this will be mine, it's stunning! Oh man, that is lovely. 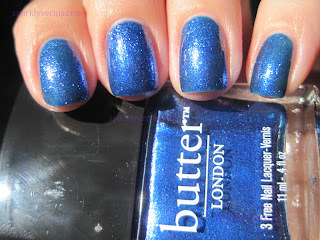 I do love Butter London! How funny, I too was searching everywhere for swatches of this the other day for the BL 3 for 30 event. I did pick this one anyways, based on the description on the website - so glad that I did!! Ohh, I LOVE this! Y can't it be a Macy's exclusive? There are no Dillard's around me. No fair. lol. 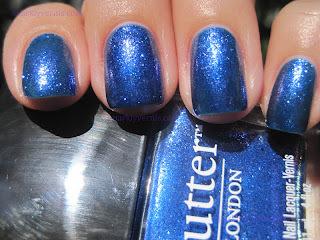 I just ordered this from the butter LONDON sale and couldn't find swatches of it! I'm so glad to see that it's just as gorgeous as I was hoping! 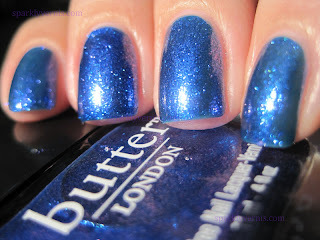 I can't even form a coherent thought after drooling over your glorious photos, but WOW, what a polish.